-provide your child with writing supplies, such as pencils, pens, crayons, and notepaper. Children become interested in reading and writing when their work reflects real purpose. Have your son or daughter write or draw a shopping list, a letter to a friend or birthday card. Changing writing tools, such as providing a whiteboard, sidewalk chalk, or using an iPad or iPhone also improves student engagement. Field trips provide a wonderful way for students to experience science first hand. Traditionally we have visited the Tolay Pumpkin Festival, and Connelly Ranch. Early math and science lessons begin with understanding who we are and how we learn. During the first weeks of school, students will learn what a learner looks like and sounds like as expected behaviors are modeled and identified in the classroom. The first few weeks of school will lay the foundation for these skills which will be used throughout the remainder of the school year. So what can you be doing this month to support your young learner? 1. Begin good habits early. Keep your child on a regular schedule when doing homework, going to bed, and getting reading for school each morning. 2. Practice name writing the "school way", always begin with a capital, and follow with lower case letters. Refer to the samples sent home the first few weeks of school. Remember to teach your child his/her last name too! 3. Provide a workspace at home where your child can practice what we are learning in school. 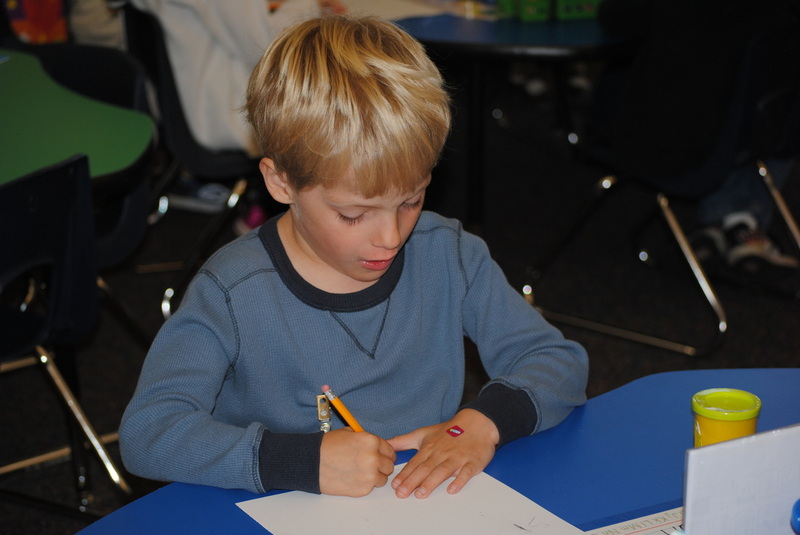 Provide writing supplies, scissors, pencils, crayons, markers, and a variety of books. School is just the beginning of helping your child become a life long learner. 4. Practice vocabulary words such as: creativity, collaboration, communication, cooperation and critical thinking. Research shows student vocabulary is a predictor of academic success. resources, and letter writing animations.